Kids Schedules - Home Organize It! 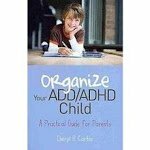 Kids schedules can have a positive effect on keeping your family organized. Have you ever seen images of families on TV whose kids have their own schedules, full of activities from piano lessons to ballet, and where even "play dates" are scheduled weeks in advance? While most families do not have that type of lifestyle, it's still a good idea to keep your children on a schedule. This is especially true for younger children who need routines in order to feel secure in their environment. There aren't very many resources for schedules for kids, but kids love dry/erase boards which is a great way to get them into scheduling. They can draw a happy face when they complete a task. If you have a toddler, you may want to start with something simple, such as a night time routine to get your child used to following a schedule. An example would be bathing your child after dinner, putting on pajamas, reading a story, and getting to bed. Once your children get used to their routine, you can start a morning routine, which could include getting dressed, eating breakfast, and playing with toys and going out to run the day's errands. When your child understands that routine, you can move on to an afternoon routine and then a dinner routine. Your child doesn’t need to be a toddler in order to appreciate a routine. Children of all ages can benefit from having some sort of kids schedule. If you have elementary school age children, you can start establishing a routine of getting home from school, having them eat a snack as you go over any papers that they brought home that day, helping them with their homework, and then having playtime while you make dinner. If you have kids in middle school or high school, they may need their own planner to help them organize their homework, after school activities, and social life. This is a great time to start teaching them about scheduling, setting goals and defining priorities. These lessons will help them immensely when they get to college. Return From Kids Schedules To Home Organize It!